What do you do when you’re stuck on a flight from San Francisco to Atlanta sandwiched in between two drunk obnoxious passengers? Turn up your podcast? Blast your favorite music? Or reimagine an entire industry and start a movement? In short, the latter is exactly what Sangram Vajre did. One might argue that Sangram took lemons that day and made some damn good lemonade. After spending time with Sangram over the phone and researching his story, I’d say this theme of taking what the rest of us might call “crappy” situations, and turning them into incredible opportunities, is the bedrock of Sangram’s success. That, combined with hard work, determination, hustle, and unmatched positivity are what make Sangram stand out from the crowd. In essence, Sangram Vajre is the epitome of the American Dream. But Sangram’s story doesn’t start on that flight, it all began with a dream; an aspiration for a better life, and for something more. With visions of life and educational opportunities in America, Sangram Vajre applied to and was accepted into the University of Alabama, where he completed his master’s degree in computer science in 2004. He still laughs about the culture shock. And that was before Vajre attended his first football game (LeanData). 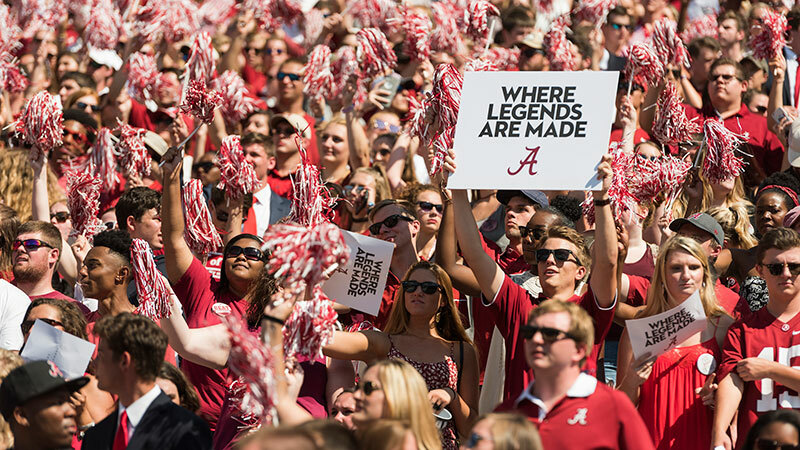 Although Sangram was happy to be attending school in the U.S., the University of Alabama was in stark contrast from the America Sangram learned about as a boy in India. He exclaims, “I felt like I was the only brown person there.” With a 1.2% Asian student body and 1.9% of the student population listed as international students (CollegeData), there’s no doubt that Sangram was in the minority. Having studied abroad myself, in rural China as a highschooler in the late 90s, and later in Northern Greece as a college student, transitioning into a new culture - especially youth culture - can be tough. Sangram took his opportunity at the University of Alabama and made the best of it. Landing in the US with only $350.00 in his pocket, Sangram hustled to secure his college tuition through internships and teaching Hindi at the University (LeanData). After graduating, Sangram was hired by one of the esteemed big four consulting firms, Deloitte. Fast forward to the present, and Sangram Vajre is leading the account-based marketing movement, with a reputation as one of the top minds in B2B marketing (CrunchBase). He is also the Co-Founder & Chief Evangelist at Terminus, a SaaS platform for ABM based out of Atlanta, Georgia. Ok, so back to that day on the plane, what was going through Sangram’s head? He told me, in order to drown out his inebriated neighbors, he turned his focus to his work and started doodling on a napkin. As a newly minted CMO, Sangram was trying to rack his brain and come up with the best strategy to market Terminus products. He took the napkin with the sales funnel that he drew and literally flipped it. In that moment, the seed for the Account Based Marketing movement was born. Less than 1% of leads turn into sales - which is like saying to a marketer that 99% of their efforts don’t matter. Too much effort is being focused at the top of the funnel without turning people into customers. Less than 2% of cold calls result in appointments. It's crazy to think that cold calling is still being used as a metric to drive inside sales when we live in a day and age where people don’t pick up the phone if they don’t recognize the number. In B2B, on average 7 people are involved in the buying decision. This means to convert a sale, you must focus on more than 1 lead, and look at the entire account. We need to engage more of the influencers as part of the decision making process. Close to 50% of B2B marketers want to measure pipeline velocity and revenue as key metrics. So if leads-based sales and marketing is dead, what’s the right approach? The answer, account based marketing. Sangram says, first we must acknowledge that the customer is in control and send them something that they care about, something that they value. Show your customer that you know their business. Advocates - Turn your potential customers into advocates. People may not become your customer today, but they can become your advocates. Bottom line, sales and marketing need to work together as an integrated team, that is focused, personalized, with combined efforts that can scale. At the end of the day, I’m a storyteller. I love connecting with people and learning more about what motivates them to tackle certain problems in the world. With Sangram, its clear to me that he wants to help sales and marketing teams become more effective and collaborative in their efforts to drive growth. He is not satisfied with the status quo and is forging a new path forward for salespeople and marketers everywhere. During our interview, I found Sangram to be just as humble, warm and accessible over the phone, as he is in his online presence. I’m excited to see where his life and career take him next! **BTW, Congrats Sangram on the new role as Chief Evangelist at Terminus, just announced on Friday, 3/9/18 and best wishes to the new CMO, Peter Herbert, from your friends at Affari. Are you ready to get into account-based marketing, but need help getting started? As a creative agency, we work with companies just like yours to deliver strategic marketing plans, to help you get more business and build a better brand. We provide turnkey solutions to our clients including: website design and development, branding, digital marketing, SEO, social media, graphic design and print design.